The question is should your kid specialize in one sport? First a definition of specialization. 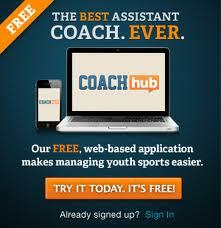 Specialization in youth sports is year round training in one sport and one sport only. 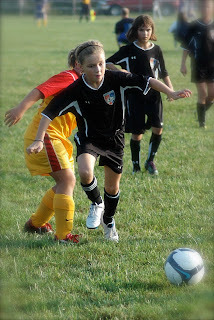 My oldest son specialized in soccer from age 12. (More on that later.) Some parents select a sport for their kids to specialize in at ages as young as 5. The alternative to specialization is sampling according to Sharon Chirban, Ph.D, a Psychology Instructor at Harvard Medical School, in a piece for the Huffington Post. Sampling in this case means involvement in multiple sports. She argues that the dangers of specialization outweigh the advantages. Read Specialization Vs. Sampling in Youth Sports: Which is healthier? Overuse injuries are among the biggest risks to young athletes who play a single sport. Training and working the same muscles and joints year-round allows no time for the child's body to rest and recover -- which is essential for healthy development. In fact, the psychological threats of sports training can be just as serious as the physical injuries. Children who spend too much time training for a particular sport year-round often find themselves experiencing burnout before they reach high school, leading them to withdrawal from sports. Additionally, the increased pressure and stress that comes with this highly intensive and competitive training can be mentally wearing for young athletes. My daughter specializes in two sports year round, select soccer and AAU basketball. She also samples in CYO volleyball. She is getting the cross training benefit of sampling and the specialization benefit of year round training. What she is not getting is time for her body to rest and recover. And my daughter is not alone. Most of the star players on her elite teams are gifted multiple sports athletes who play multiple sports year round. I worry about specialization. How can you tell at age 10 what sport will provide the most enjoyment, success and confidence / character building long term? I worry about not specializing. If she does not participate in year round select soccer or basketball other players who do specialize will advance ahead of her. I worry about overuse injuries. Cross training allows her to develop many different sets of muscles, but she has little time to recover. We are allowing my daughter to play multiple sports year round. We do not want her to specialize at this age. We also do not want her to fall behind in one sport or another. We are not as concerned about overuse issues because my daughter's motor is running non-stop whether she has an organized game or practice or not. She rushes home after basketball games to play basketball on our little basketball court on the side of the house. On days off she begs me to go to the gym where there is an indoor basketball court. I could not slow her down if I tried. Back to my older son who specialized in soccer. He was a small and agile in his younger years. He would have been considered a finesse player. A midfielder who could defend the middle third and distribute the ball. He was good enough to make the freshman team of his HS. Then he started to grow and the growth robbed him of his speed and agility. The key to HS soccer is speed so he did not advance to play on the JV or Varsity teams. He grew to 6ft 3in. Perhaps volleyball would have been a better choice. In the case of my daughter, what would you do? Let her play multiple high level, high stress sports year round or specialize in one. She is equally good in both sports. She seems to be prospering just the way she is doing it now. I am sure that you watch her closely for any signs of burnout or health problems. If those don't appear, let her go and have fun watching her! I am not an advocate for specialization at an early age, so I think what you are doing is fine with your daughter. I would argue though, that if your daughter is athletically gifted, that she will not fall behind if she does not play year round. And just because she wants to, doesn't make it right either. My kids don't want to take a bath and eat ice cream before dinner, but that doesn't mean I should let them. So, overall I think you are asking the right questions and are aware of the potential pitfalls. But don't think for a moment if she doesn't play all year long that she'll fall behind. At first, it may seem so, but by playing other sports will give both a different perspective on her main sport, as well as give her a little variety. There are so many sports out there, how are we to know what will be best for our kids at such a young age? Try as many as you can with her, have her stay active, and if she has talent it won't go anywhere, promise...Does a genius become stupid if you put him in a terrible school? People don't want to hear this, put natural talent is a key ingredient to potential collegiate and professional athletic success. Hard work is needed too, but without the skills the Div I and professional goals are most likely not going to be met. Good luck to you! David - Good comments from the perspective of a HS coach - I am now following you on Twitter. Voxoflow - I tried to replicate your problem but I cannot - I can see the entire post on both Safari and Firefox. Sorry. Legesilo - Thanks for the compliment. The Sportsbook advocates say it's a harmless way to add a bit of fun to the game.https://www.jetwin.com/en-us/sports learn more about bitcoin gambling betting here in the link.